C.P. Bourg is the first manufacturer worldwide to use the PUReONETM compact adhesive system with applicator from Nordson. 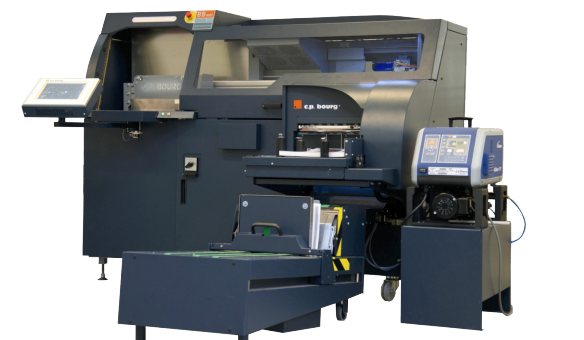 This solution has been successfully integrated into the Bourg Binder BB3002 PUR-C and creates a cost-effective and high-performing perfect binder. The combination of the C.P. Bourg and the Nordson advanced technology offers many advantages: a consistent and reliable performance with precise dispensing of the PUReONETM glue, clean cut-off and the highest quality creasing; an increased productivity by reducing clean-up and shortening start-up/shutdown times; deliver production flexibility by having a binder automatically adjusted to the thickness of each job up to 60 mm (2.36 in); an easy to use color touchscreen interface (GUI) which controls all functionalities, and lower production costs by reducing waste and adhesive usage.